This month we removed the Huawei Mate 9 to make room for the HTC U11. Now that more smartphone manufacturers sell phones at cheaper price points, it’s much easier for consumers to afford an off-contract device, rather than purchasing one with a two-year contract. At least in the United States, prices for the best unlocked Android phones have changed dramatically, and that’s a good thing. So, what are the best options out there if you want to forgo a standard contract and buy unlocked? We’ve got a list of the best unlocked Android smartphones for under $250, under $500 and over $500. As always, if you have anything you’d like to suggest, speak up in the comment section at the bottom of the post. Editor’s note: We’ll update this best unlocked Android phones list regularly as new devices launch. It’s also worth noting this article is written from a U.S.-centric point of view, though (since they are unlocked) pretty much all of these devices are available outside of the U.S., at least in some capacity. If you want an affordable, unlocked smartphone for under $250, look no further. Lenovo’s Moto G6 and G6 Play are two of the best unlocked Android phones on the market, and for good reason. Both phones have a 5.7-inch IPS LCD display covered in Gorilla Glass 3. The Moto G6 has a higher Full HD+ resolution (2,160 x 1,080), while the G6 Play comes with an HD+ screen (1,440 x 720). The Moto G6 Play has the Qualcomm Snapdragon 427 chip, while the Moto G6 sports the faster Snapdragon 450. It also features two rear cameras, with a 12MP main sensor and a 5MP secondary camera. The Moto G6 Play has a single rear 13MP camera. Both phones offer 8MP front cameras. The G6 Play has a 4,000mAh battery, while the G6 has a smaller 3,000mAh battery. 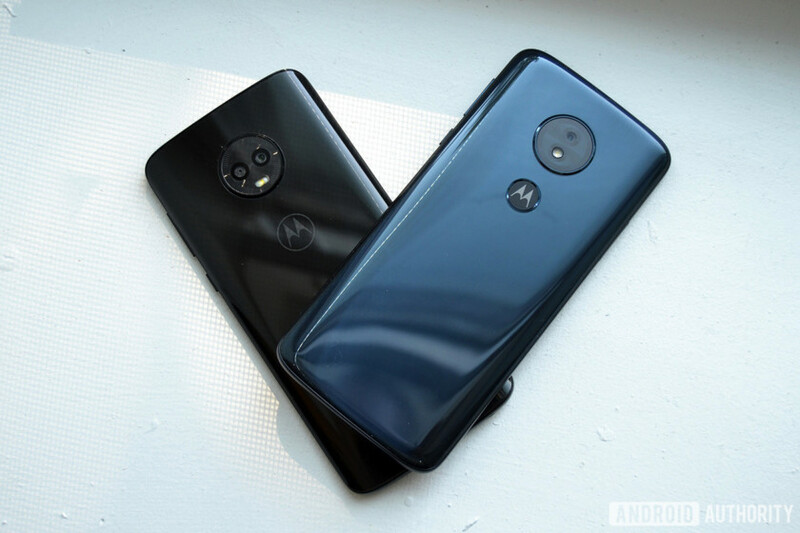 Ultimately, you will be paying for better performance and camera tech in the Moto G6 versus better battery life for the G6 Play, which should last up to two days on a single charge. They are both compatible with the big four carriers in the United States, and the standard G6 is even compatible with Project Fi. You can buy them unlocked from pretty much any major smartphone retailer, including Amazon. The phones will set you back $180 (G6 Play) and $200 (G6). The Honor 7x is an affordable phone from Huawei’s Honor brand, yet it still has enough high-end features to make it attractive to any buyer. It’s a must on any best unlocked Android phones list. One of its standout features is its 5.93-inch display with very little in terms of bezels, along with an 18:9 aspect ratio and a 1080p resolution. Inside, it has Huawei’s in-house Kirin 659 octa-core processor, with four cores running at 2.36GHz and four at 1.7GHz. The phone runs Android 7.0 Nougat with Huawei’s EMUI 5.1 interface on top. Depending on the market, you will get either 3GB or 4GB of RAM, along with either 32GB or 64GB of onboard storage. The rear camera setup has a 16MP primary sensor, along with a secondary 2MP sensor for features like portrait mode. It also has an 8 MP front-facing camera and a 3,340mAh battery, which should last up to a day with regular phone use. The Honor 7x retails for just $200. Next on our list of the best unlocked phones is the Nokia 6.1, which debuted back in January. The Android One device sports a 5.5-inch Full HD display and features the Snapdragon 630 chipset along with 4GB of RAM under the hood. It comes with Nokia’s Bothie camera feature and includes OZO Audio recording described as an “advanced spatial audio technology with 3D capture and playback capabilities.” The phone has a single 16MP camera on the back, packs a 3,000mAh battery, and comes with a rear-mounted fingerprint scanner. The dual-SIM device supports expandable storage and has a headphone jack on board. It’s quite affordable, coming in at $225 — get it via the button below. The unlocked Honor View 10 has features usually found in flagship phones. Inside is Huawei’s octa-core HiSilicon Kirin 970, with its Neural Processing Unit (NPU). It allows the phone to automatically optimize its memory based on which apps are used more often. It also has 6GB of RAM and 128GB storage, which is expandable by up to 256GB using a microSD card in the hybrid dual-SIM tray. The Honor View 10 has a large 5.99-inch LCD “FullView” display with an 18:9 aspect ratio and 1,080 x 2,160 resolution. It also has a dual sensor camera setup on the back — a 16MP f/1.8 aperture color camera and a 20MP f/1.8 aperture monochrome sensor. Then there’s the 13MP front-facing camera and a big 3,750mAh battery. This is an excellent unlocked Android phone for an affordable mid-range price tag. The View 10 was launched in the U.S. back in March for $500 and was considered affordable at that time. Since then, its price has come down even further, making it an even better deal. You can get it on Amazon for just $385. The Nokia 7.1 was announced in October and is an Android One device. It runs a stock version of Android and is guaranteed to get two years of OS upgrades. It’s a mid-ranger, featuring a 5.84-inch Full HD+ display with a notch, the Snapdragon 636 chipset, and 3 or 4GB of RAM. There’s a dual-camera setup on the back and a single shooter up front. The phone supports the Bothie mode like many other Nokia phones, allowing you to take photos with the front and rear cameras at the same time. Other specs and features worth mentioning include a headphone jack, a 3,060mAh battery, and dual-SIM support. The Nokia 7.1 ships with Android 8.1 Oreo on board but can be upgraded to Android Pie. Amazon sells it for $350. Last year’s Huawei Mate 10 made it on our list of the best unlocked Android phones because it features high-end specs, a great design, and a relatively affordable price tag. The notch-less phone comes with a 6.0-inch Full HD+ display, the Kirin 970 chipset, and a dual-camera setup co-developed with Leica. We named it the smartphone of the year back in 2017. The phone comes with 6GB of RAM in the U.S. and is IP67 rated for protection against water and dust. Other specs and features include a rear-mounted fingerprint scanner, 128GB of storage, and Android Oreo. Unfortunately, there’s no headphone jack on board. The phone also doesn’t support expandable storage or wireless charging, which is strange considering the back is made of glass. The Huawei Mate 10 is listed on Amazon for $499. With the success of the Galaxy S8 and S8 Plus, Samsung clearly figured out what users want in a smartphone. The S9 range brings the same solid battery life, high-res screens, impressive camera performance, and more as its predecessor. The two smartphones are IP67 rated for water and dust resistance, have a headphone jack, and don’t feature a notch. Both the S9 and S9 Plus have the increasingly common 18.5:9 aspect ratio, which allows for a much more comfortable in-hand feel. Under the hood, these devices come with the Qualcomm Snapdragon 845 processor in the U.S. (they use Samsung’s own in-house Exynos 9810 SoC in other parts of the world). The standard 5.8-inch S9 has 4GB of RAM, while the 6.2-inch S9 Plus includes 6GB of RAM. Both have 64/128/256GB of onboard storage and run Android 8.0 Oreo out of the box. The biggest difference between the Galaxy S9 and S9 Plus, compared to both their older models and each other, is in their camera equipment. Both the S9 and S9 Plus have a primary 12MP rear camera with a Dual Aperture feature, which switches between f/1.5 and f/2.4 modes. The S9 Plus also has a second rear 12MP sensor, and both phones have 8MP front cameras. Both can also take super slow-mo movies at 960fps at 720p, and support Samsung’s AR Emoji for animated avatars created by the cameras. Pricing starts at $620 (Galaxy S9) and $740 (Galaxy S10 Plus). 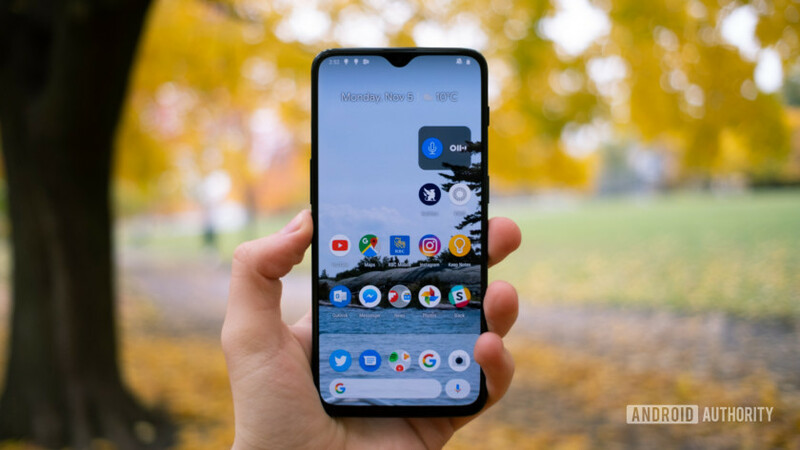 The OnePlus 6T sports a so-called waterdrop notch approximately 75 percent smaller than the one on its predecessor. It comes with an in-display fingerprint reader, a 6.41-inch display, and a 3,700mAh battery. OnePlus has recently released a McLaren Edition of its flagship. It’s a powerful device, featuring the Snapdragon 845 chipset and up to 8GB of RAM under the hood. There’s a dual-camera setup on the back and a single shooter up front. Unfortunately, there’s no headphone jack, wireless charging, or an IP rating, but at least the phone is splash-proof. The handset starts at $550, $20 more expensive than its predecessor. It offers twice the storage, at 128GB. There’s also a new McLaren Edition of the device available with 10GB of RAM and a few design changes. No list of the best unlocked Android phones would be complete without the Galaxy Note 9. The phone offers everything you need and more. A great design, top-of-the-line specs, and the series’ signature S Pen, which has a new trick up its sleeve — it allows you to remotely control the camera. The Galaxy Note 9 is a big phone. It sports a 6.4-inch display with Quad HD+ resolution and curved edges. It’s powered by the Snapdragon 845 or Exynos 9810 chipset — depending on the region — along with either 6 or 8GB of RAM. It also features a dual-camera setup, an IP68 rating, and a headphone jack. As for pricing, the entry-level model with 128GB of storage goes for $900 at the moment. There’s also a 512GB variant available, which will set you back $1,150. The Pixel 3 and Pixel 3 XL are great options for those into photography and a clean software experience. Both come with the latest version of stock Android and one of the best (if not the best) smartphone cameras on the market. Despite only having a single lens, there’s still an option for adding the bokeh effect to images through software trickery. The two phones are similar in terms of specs. They feature the Snapdragon 845 chipset, 4GB of RAM, and 64/128GB of storage. Both also support wireless charging and have a rear-mounted fingerprint reader. Unfortunately, they lack a headphone jack. The main differences between them are in the display and battery departments. 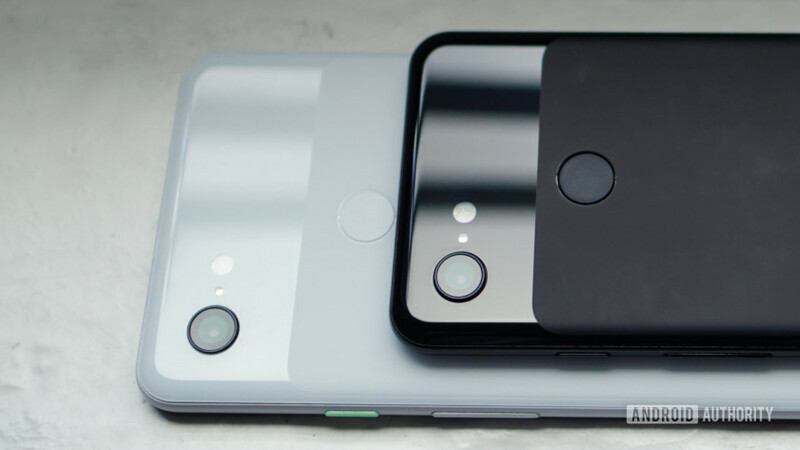 The Pixel 3 has a 5.5-inch Full HD+ display and a 2,915mAh battery, while the XL model comes with a 6.3-inch QHD+ screen and a 3,430mAh battery. The Pixel 3 XL also has a notch. 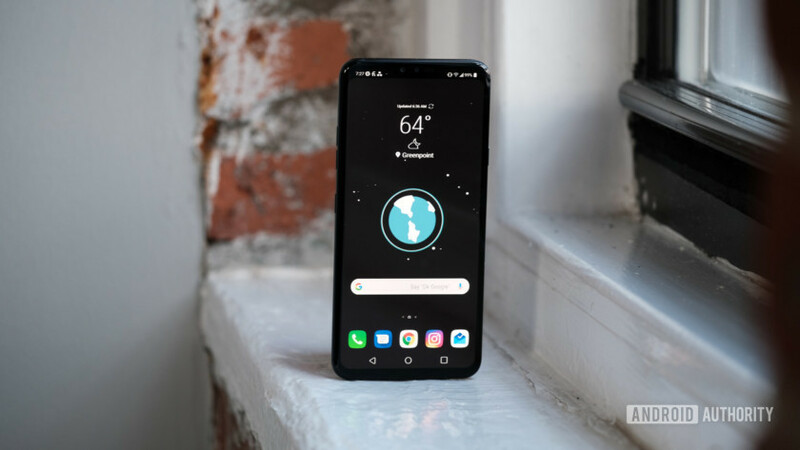 The last model on our list of the best unlocked Android phones is the LG V40. Its highlight feature is the triple-camera setup on the back, which offers a standard 12MP lens, a 16MP wide-angle lens, and a 12MP telephoto lens. There are also two cameras up front. The V40 isn’t just about photography. It’s also a great phone for music lovers, sporting a headphone jack as well as a 32-bit Hi-Fi Quad DAC for improved audio quality. Like the majority of 2018 flagships, the V40 is powered by the Snapdragon 845 chipset. Other specs worth mentioning include 4GB of RAM, a 6.4-inch Quad HD+ display, and wireless charging. The phone is quite expensive, coming in at $950. There you have it – our picks for the best unlocked Android phones. Missed anything? Tell us in the comments!